Bernhard Sonntag is the founder and owner of BSI ® Business Services International - a global business aiming to elaborate and implement innovations, strategies and visions for national and international business. He is a demanded and highly trusted, well known key note speaker on important business congresses & symposiums. He is a very successful Business Human Interface- and Network- Manager. His thoughts are big & global and are inspiring people for new innovations of new products & services for a better life. With more than 25 years experience as a consultant, coach, trainer, moderator on big international conferences & symposiums he demonstrates excellent people-management, communication, influencing and motivating skills which are always emphasised by customers and business partners. He has got a proven track record in developing and implementing innovative management concepts for middle-size enterprises and large multinational companies. Projects have been succesfully realised f.e. in Asia, Austria, Germany, Great Britain, Italy, Spain, Switzerland and the United States. He has created many business models e.g. MUDIMAN®, 14 P Value Process Model, Coaching Model, Global added Value Communication Model and many more. These models are very helpful for Business Managers and are very practical for creating values and business future oriented Leadership Strategies. Before implementing management-, marketing- and training concepts his main focus lies on improving decision-making-processes and developing individual, working out vision & mission statements and objectives together with market oriented key success factors. By doing this he made significant contributions to forming or reshaping core processes in many companies around the world. He often initiates and realises business forums and meetings for all management levels together with employees, customers and business partners as a means of relationship management. 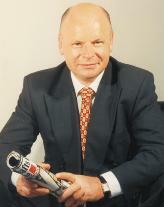 He is counsel at the KFW Bank Group. After graduating in economics and engineering at the University in Munich he graduated international management at Augsburg University. For few years he worked for several national and international operating companies in leading functions in sales, marketing, communication, human ressources, training and consulting. The results of various projects are being published in the media as well as on conferences symposiums and as examples best practice in workshops and seminars. Customers of Bernhard Sonntag are large as well as mid- and small-sized companies, whose leaders want to shape the companies future actively. His special interests are innovative global trends, transfer & transformation of the success factors for national and international business with interdisciplinary business development for a added-value Leadership Position.